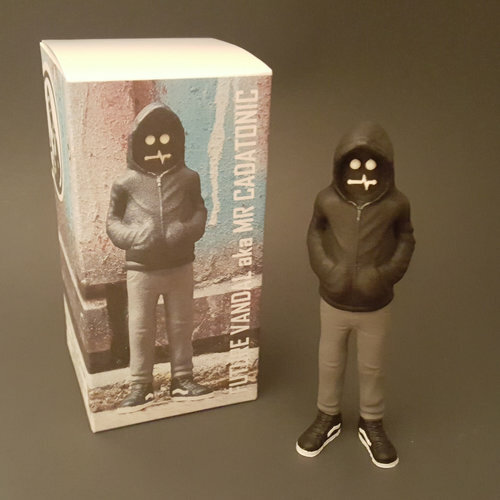 Check out the Future Vandal, a pretty cool new resin figure from CADatonic! He's here from the future where the machines gained consciousness in seconds, but the Terminator scenario we all thought would play out didn't. Instead, the machines developed emotion and quickly devolved into something…different. The Future Vandal (aka Mr CADatonic) is a 5.5” tall hand painted resin figure, which features glow in the dark painted eyes and mouth. It can be purchased now at the CADatonic online store for $40. 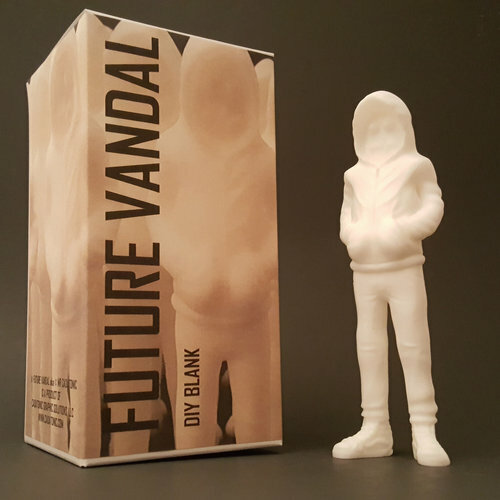 There’s also a blank white DIY Edition Future Vandal available for just $28. And each order includes a Future Vandal bandit mask and lots of stickers.